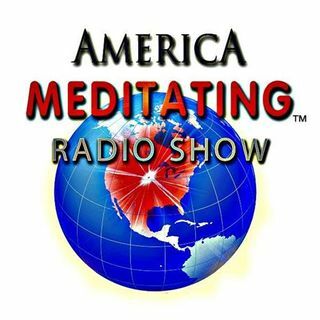 Join us as Sister Jenna welcomes filmmaker Suzanne Bryant to the America Meditating Radio Show! Suzanne Bryant is the filmmaker of the powerful and internationally acclaimed film Yoga IS: A Transformational Journey. Her 20-year exploration of yoga led her to study with some of the most inspiring and celebrated teachers including Sharon Gannon and David Life, founders of Jivamukti Yoga, as well as Shiva Rea, Seane Corn, Dharma Mittra and Shyam Dasher. Suzanne is also a certified yoga ... Más informaciones instructor and completed her 500-hour yoga teacher training with Alan Finger in 2000. With a Masters degree in spiritual psychology and nutrition, as well as being a meditation teacher and wellness coach, Suzanne combines her expertise to work with individuals and groups to move through obstacles and achieve the life they desire. Since the release of YOGA IS, Suzanne has been featured in Yoga Journal Magazine, The Huffington Post, Elephant Journal,Fitness plus many others. Check out Suzanne’s Yoga IS Online Yoga Conference featuring rare interviews with your favorite teachers. Also visit www.suzannebryant.com and www.yogais.com. Get the OFF TO WORK CD & Off the Grid Into the Heart CD by Sister Jenna. Like America Meditating on FB & on Twitter.